Welcome to Laurel ENT & Allergy! Dr. Mathur is proud to provide area patients with specialized Ear, Nose, Throat and Allergy care in a timely and professional manner. Laurel ENT & Allergy works collectively with some of Westmoreland, Cambria, Indiana and Allegheny Counties’ top practitioners to provide complete healthcare when you need it most. Dr. Mathur and his team offer a patient-centric approach to healthcare, which means that every patient receives the personal attention they deserve to meet their specific needs. We work diligently to provide exceptional service from initial contact to full treatment. We also offer innovative At-Home Allergy Treatment options for our qualifying patients. Our offices located in Brackenridge, Greensburg, Indiana, and Wexford offer advanced and routine sinus and allergy treatments. Dr. Mathur's vision of care is a patient based approach where patients are strongly involved in their own care which means that every patient receives the personal attention they deserve for their specific needs. We believe in a patient-centric approach to healthcare so that every patient receives personal attention they deserve to meet their specific needs. A successful vision allowing patients to be actively involved in their own care. 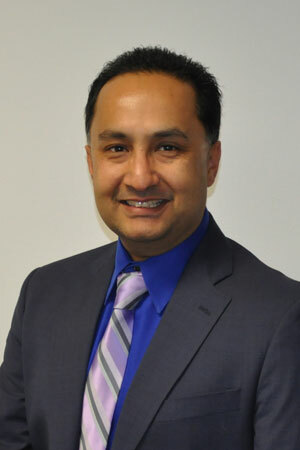 Dr. Sam Mathur, a native of Western Pennsylvania, grew up in Johnstown, Pennsylvania. Through the years, he has treated thousands of sinus, allergy, and sleep patients. Our practice has now grown to a four location specialty practice. Dr. Mathur has a strong commitment to a complete patient care approach through patient communications, patient information and by insuring his patients have a good understanding of their ENT issues. We offer a range of sinus care services to address all of your health needs. "I would highly recommend Dr. Mathur." "I went to Dr. Mathur after going to an ENT for years. I got an appointment very quickly for a specialist. His staff was very helpful and up front regarding my insurance. He was thorough with the additional testing necessary to make an accurate diagnosis. He spent the necessary time making sure that I understood everything associated with my diagnosis." "Took time to explain everything to me in great detail. Explained options. Made me feel assured that he was doing what was most beneficial for me. Explained all details of procedure that I had done in such detail that I knew exactly what was going to happen and how it would feel and how long it would last. Staff are all very nice."